Christmas at Puget Sound Fisher House. 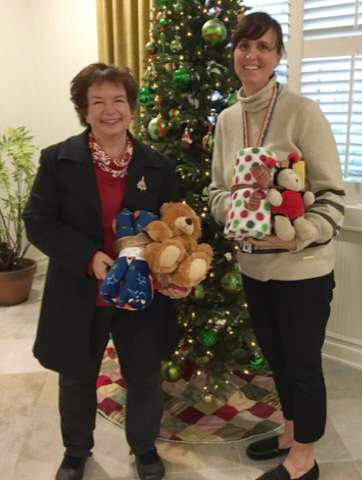 Terry Traner, shown with Carrie Brook, executive director of Fisher House, delivered 2 large bags of her 3 “B’s”, books blankets and bears. They are bundled together and will be given to the children who are spending the holidays with their family at Fisher House. Carrie was ecstatic with the donation. At the same time Terry delivered a donation from American Legion Post 66.